Like a Chinese puzzle box (or in food terms: an onion), each sliding block peels back to reveal another hidden layer – some walls double as doors, and each element serves more than a single purpose (or person). 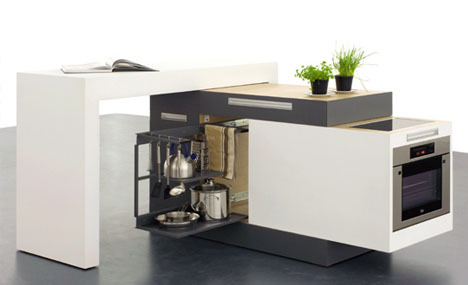 A single square meter is displaced by the Small Kitchen, containing everything from cooking and preparation surfaces to a dinner table, stove, cooktop, refrigerator, suspended shelves, slots and drawers. 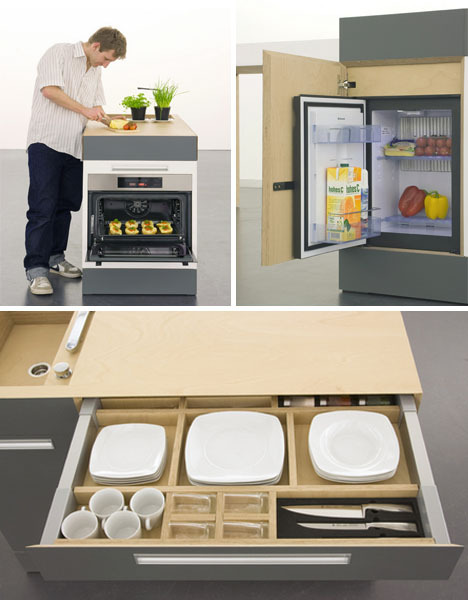 The sequence unfolds with consideration for work flow as well as saving space, starting with a blank slate in its most compact form and then unfolds, offering areas to prep, cook and dine. 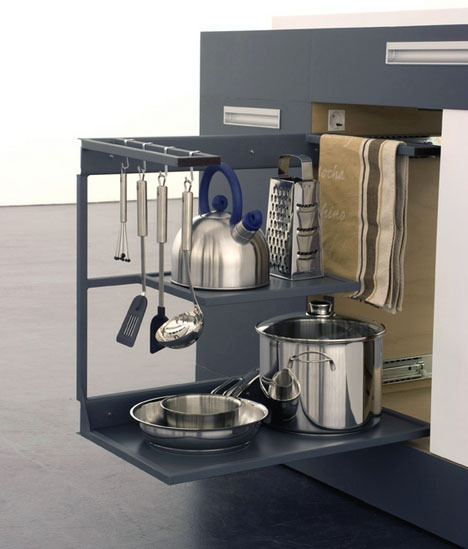 There is also a balance between multi-functional elements and use-specific spaces – general hooks and platforms on the one hand and subdivided drawers on the other. 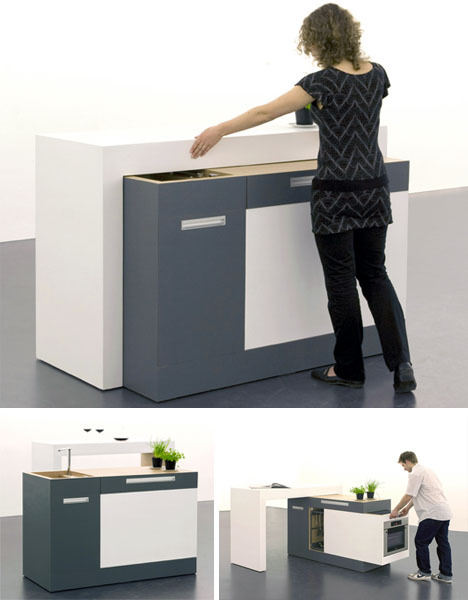 Prototype by designers Kristin Laass and Norman Ebelt.